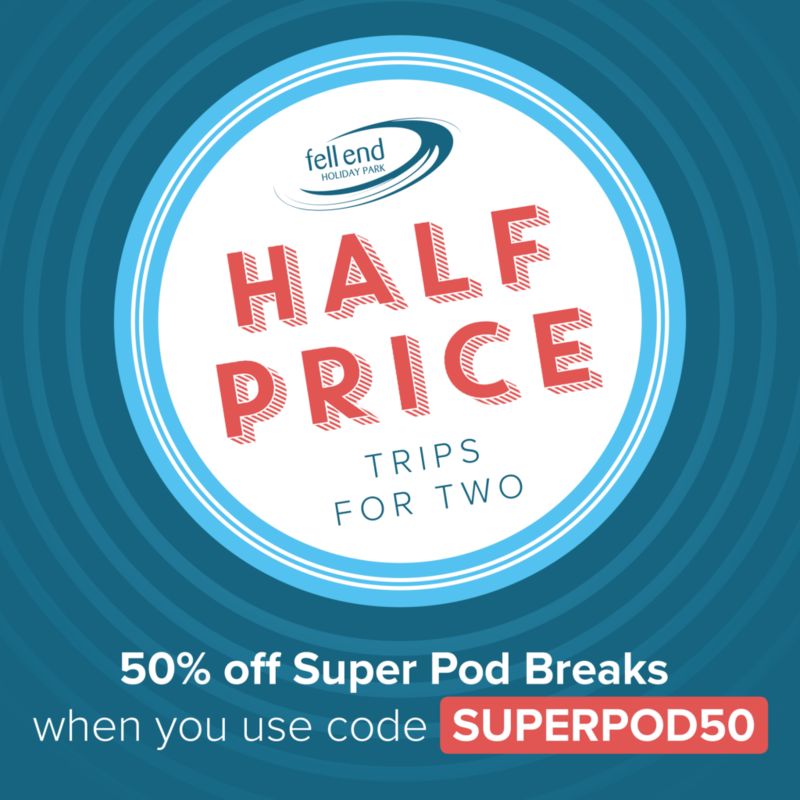 Book a Super Pod break for two and receive 50% off! Now available at Fell End Holiday Park. Or call us on 01524 917311 to book your stay! Terms and conditions apply: Subject to availability, For arrivals in March, June, November and January only, 2 night minimum stay applies, book by 1st May 2019 to receive discount, Available at Fell End Holiday Park only, available only on Super Pods, Maximum two people per Super Pod, not to be used in conjunction with any other offer.